We live our lives online. This is a new revelation that has come with the explosion of social media use. In fact, as of January 2014, 74% of adults using the internet are using social media sites according to a Pew Research Center report. We celebrate our triumphs and vent our tribulations on very public platforms. Social media is a great way to build communities of support and to keep in touch with friends and family near and far. With our continued use of social media, however, there needs to be consideration for the possible downsides of putting our lives online for the world to see. One such downside, is that using social media can and, most likely will, hurt your personal injury case. Insurance companies are looking for any possible way to undermine or eliminate your claim and they have found a treasure trove of supporting evidence available in social media accounts of claimants. All of this may enrage you. Why the violation of personal privacy? Why does an insurance company care what I am doing? They care because you are trying to recover money from them for injuries that you alleged have changed your life in some way. If you claim you are living in pain and have certain restrictions on daily activities, they will look for ways to undermine this. If you claim a back injury, but you post about a great gym workout you just had, this will be problematic. Yes, life goes on after injury, but that does not mean that an insurance company will not try to use posting about your latest travels and kayaking adventures on social media to undermine your claims of pain and suffering. 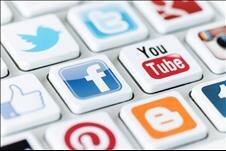 Additionally, insurance companies may use social media posts to address liability issues. If you posted on social media after an accident to let friends and family know you were “okay” and you probably should not have been driving home when you were as exhausted as you were, an insurance company can and will try to access this post to prove that you were not injured and that you caused or contributed to causing the accident. The point of all of this is to say that social media use can be great, but use it cautiously and thoughtfully if you are seeking compensation for a personal injury claim. The best way to avoid any problems may be temporarily deactivating your social media accounts. If this is not something you are willing to do, at least stop posting or keep posting minimal while your claim is pending. Never post anything about the accident itself and keep in mind the repercussions posting about other things may have on your claim.